The production and distribution of consumer goods and food products are not as cut and dry as it may seem to spectators. With the numerous challenges and complexities throughout the supply chain, artificial intelligence is rightfully standing at the forefront of technological solutions. This is because AI is enhancing efficiency from the first to the final link of the supply chain by assisting with manufacturing, inventory management, and shipping. Here are some additional points of consideration for businesses considering investing in AI to restructure supply chains. The abundance of algorithms fed to machines teaches each machine the operational standards and proper systems within the supply chain, allowing them to spot errors with a higher level of accuracy than humans. But the true impact of artificial intelligence in the supply chain goes even further once businesses deploy the technology, explaining why internationally respected companies are already using AI. Amazon and Google are two brands with worldwide influence that incorporate the use of AI in their supply chains. One of the ways Amazon is utilizing AI is by using its predictive nature to prepare for future demands. Their AI algorithms can determine the demand for specific products up to 18 months in advance because it analyzes both customer preferences and logistical operations. Google estimates that the company has invested up to 30 billion dollars into AI acquisitions, and AI research and development. Along with predicting upcoming industry demands, AI can predict equipment malfunctions. By knowing the functional nature and operational capacity of equipment, products won’t be held up in the supply chain because managers will be better prepared with the insights they need for finding alternative methods of production until equipment is back up and running. These predictions are made by using smart sensors and creating an identical piece of equipment virtually. The virtual equipment is then tested under specific circumstances (such as extreme weather). Companies can also automate billing with the predictive analysis of artificial intelligence. Future balances can be calculated for new invoices as intelligent technology recognizes the patterns of payments received and company expenses. In an economy of global shipping, customers and businesses don’t always have the luxury of receiving their goods and products on specified dates. In the past, relying on research experts and analytics to generate data was the most feasible way to inform businesses about their shipments and to estimate when the items were likely to arrive at their destination. Considering the vast amount of data that experts must process in today’s consumer-driven society, allowing AI to learn and automate data analysis to predict delivery times can relieve researchers of this often difficult and time-consuming task. Because of the unexpected hold-ups in the supply chain, making assumptions for product delivery dates could be a costly mistake. AI can prevent these mistakes through smart sensors and GPS data that will track the location of products throughout the entire distribution process. Furthermore, artificial intelligence can shorten the distribution process altogether by guiding autonomous vehicles. As products are in transport via ground, businesses must account for legal restrictions and the possibility of transportation delays. These possible delays include traffic jams, engine problems, and unexpected detours. Laws are also in place for the safety of drivers, requiring them to drive for a limited number of hours each day. AI could create the fastest routes, and autonomous transportation would be able to stay on the road for longer periods of time in comparison to man-powered vehicles. Warehouse management and supply chain procurement are only effective if the inventory is well-managed. If the supply fails to meet the demand, company time and money goes to waste. When the supply fall shorts of demand, customer dissatisfaction is inevitable. On the other hand, if supply is much higher than demand, critical resources may have been exhausted for no reason – especially when no opportunities are available for selling the overstock. Artificial intelligence mitigates these risks by promoting transparency while its predictive abilities influence decision-making. As previously mentioned, AI can predict the upcoming demand for products. As a result, supply chain managers will be able to determine an accurate supply volume in advance. Artificially intelligent chatbots would also keep the lines of communication open between suppliers and customers by generating responses to general inquiries and storing important documents in the cloud for the purposes of record-keeping and meeting compliance standards. 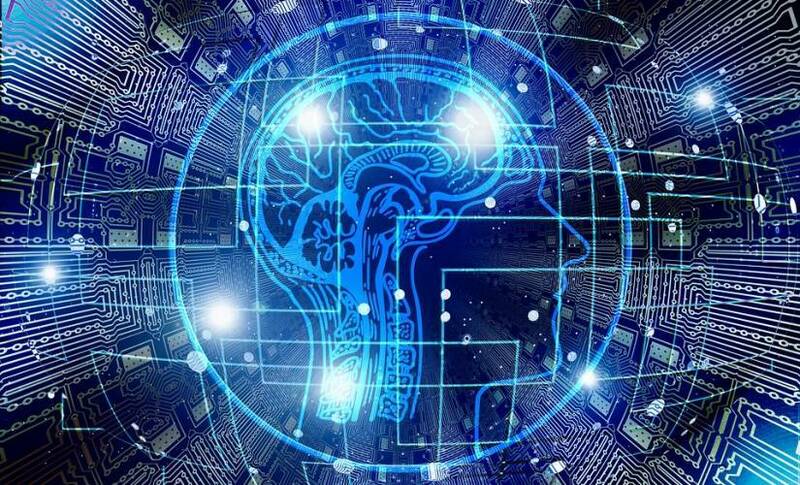 Artificial intelligence has the potential to benefit businesses in a variety of ways as products move down the supply chain, and the initial investment into testing and feeding data to learning machines will be well worth it after deployment. When considering the fact that tech powerhouses such as Google and Amazon are implementing AI throughout their supply chains, it’s apparent that AI will be necessary for companies to keep up in our data-driven world. The structure of businesses will change for the better by adopting AI. Through automation, team members will be less overwhelmed by large amounts of data and tedious, repetitive work. Early adoption of artificial intelligence as a strategy of supply chain management also increases profit margins by over 5%. Instead of overlooking AI, now is the time to embrace this revolutionary technology.